Magic and technology don't mix. Now, the one exception to that rule is up for grabs. The ancient solution to get magic and tech to coexist lies within an alien structure older than any race in the galaxy. Now, the balance of power threatens to tip. As factions reinforce their fleets for a war to claim the ultimate technological prize, Hiroko finds herself trapped between three races—one of them her own—in a quest where even victory promises disaster. Down beneath the planet's surface, Cedric delves into the workings of the mysterious alien technology that works like magic. Discovering the key to the untapped power it possesses may be Astral Prime's only hope. 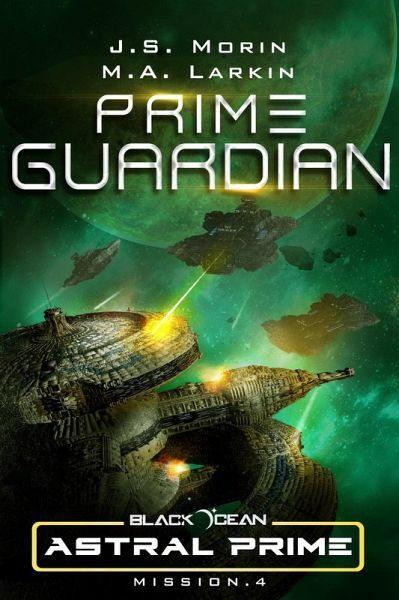 Prime Guardian is the fourth book in the Black Ocean: Astral Prime series. It hearkens back to location-based space sci-fi classics like Babylon 5 and Star Trek: Deep Space Nine. 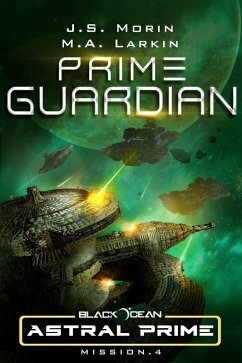 Astral Prime builds on the rich Black Ocean universe, introducing a colorful cast of characters for new and returning readers alike. Come along for the ride as a minor outpost in the middle of nowhere becomes a key point of interstellar conflict.